Good food and gas stations didn’t really go together in 1997, but that changed once the original Jake’s opened in Lebanon, NH. The New London and Andover, NH, stores followed shortly thereafter, and in 2008 the historic Georges Mills General Store became Jake’s 4th location. Our first Vermont locations came along in early 2009 when Irving Oil asked us to take over their White River Junction and Hartford stores. Then, in April 2011, the Springfield, VT, store joined the Jake’s family, with the historic Walpole Village Market store becoming the 8th Jake’s location just a few months later in September of 2011. Now, fast forward to 2018 and we’ve added two more store—in Canaan and Enfield, NH. A good percentage of our employees have been with us for many years, which really makes them more like family than employees. Without their dedication and hard work, we wouldn’t be here. It is because of them that we have been able to establish ourselves throughout central New Hampshire and Eastern Vermont as the “go-to” place for fast, friendly service, convenience and great food! 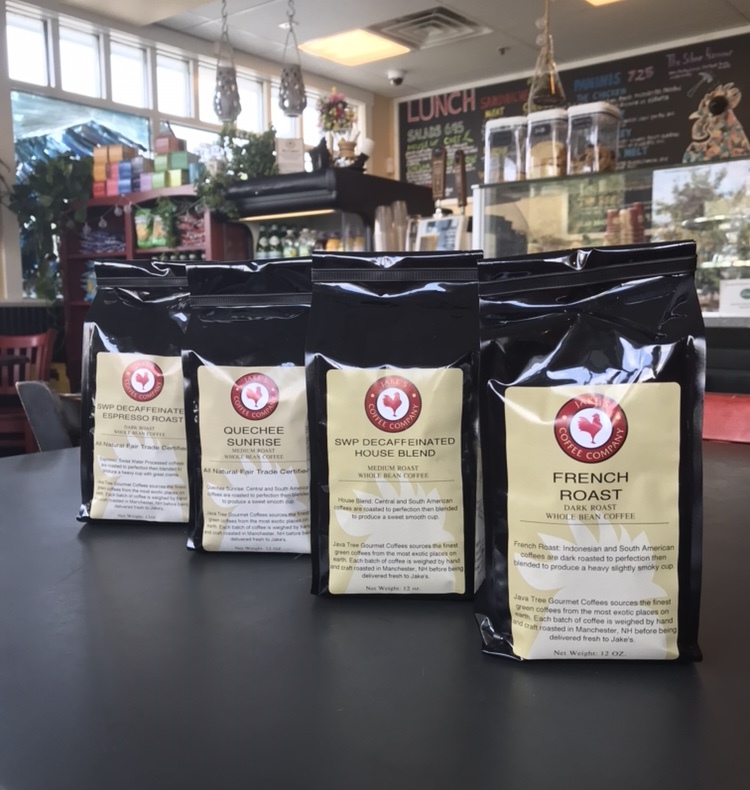 Jake’s Rooster Roast coffees are selected from 100% specialty grade Arabica beans and their origins are some of the most exotic ports on earth. Our coffees are sourced from small, family farmers who care for their workers and the environment. They are shipped to the craft roasting facility of our roaster partner, Java Tree Gourmet Coffees, in Manchester, New Hampshire, where they hand weigh and small batch roast them, using a combination of traditional roasting techniques and technology to produce the finest tasting coffees available. To guarantee top quality, our coffees are roasted to order and delivered to our stores the next day. 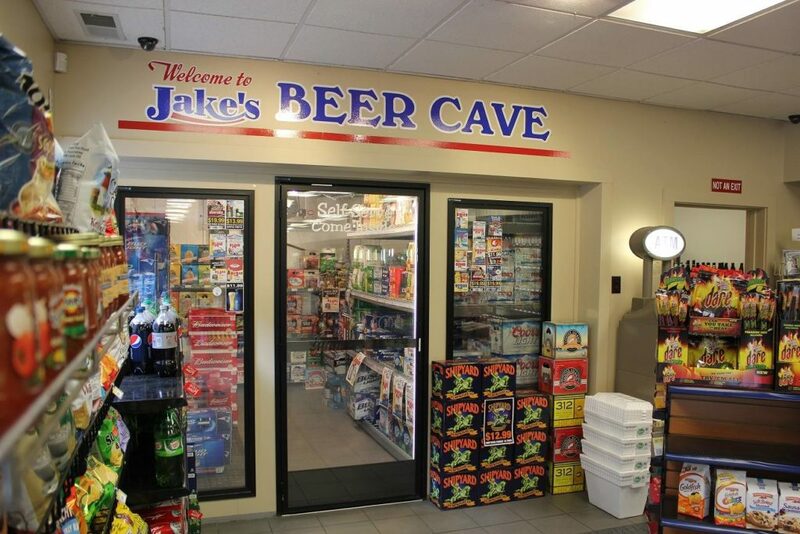 The Beer Cave…the name says it all! Although we are known for our great food, we have an enormous selection of delicious beers from all over the world! One of our most popular programs is the Pick Six Pak! Simply make up your own six pack using any 12oz. beer, and we’ll give you 20% off the single price! It’s a great way to try new types of beer without feeling like you have to buy a whole 6 pack. Many of our stores have 150, 200, even 350 different types of beer to choose from.